some better photos. The one I posted earlier was just a 'wrist-shot' type. Though some of these I posted a few months ago hopefully they will (re-)convey more fully the details of the design. The movement is well-known anyway. Yes, it was hard finding a decent example. They come up from time to time, but with a tired look. Can one be re-furbished? Movement? I'm sure. Case, dial, hands, rocker buttons etc? Not so sure. 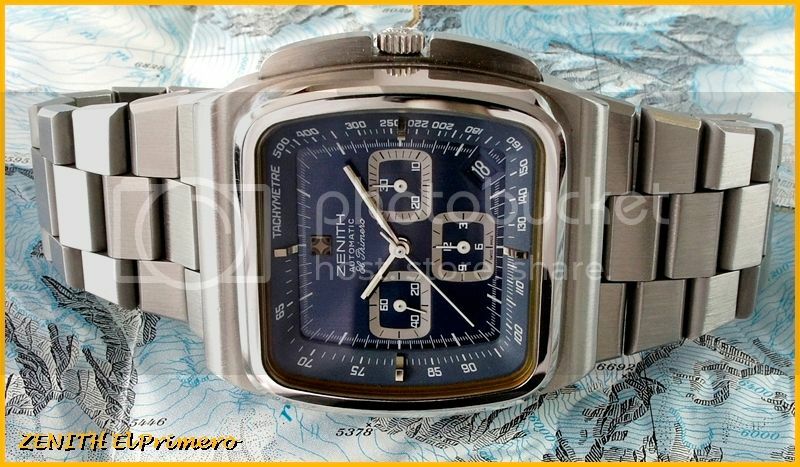 The Heuer was one of the first chrono-automatics but it was a 'module' added to an earlier Buren micro-rotor caliber. The caliber was ideal as it was thin enough to 'allow' a module without compromising thickness. 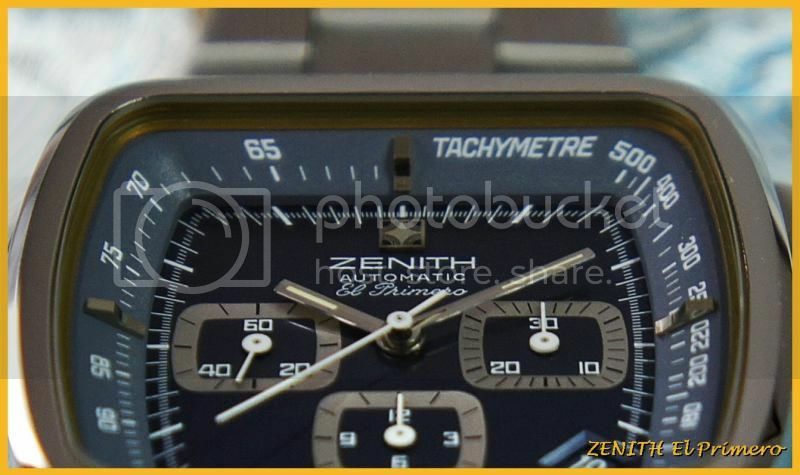 The Zenith in the same year (1969) is, I believe, more technically advanced. 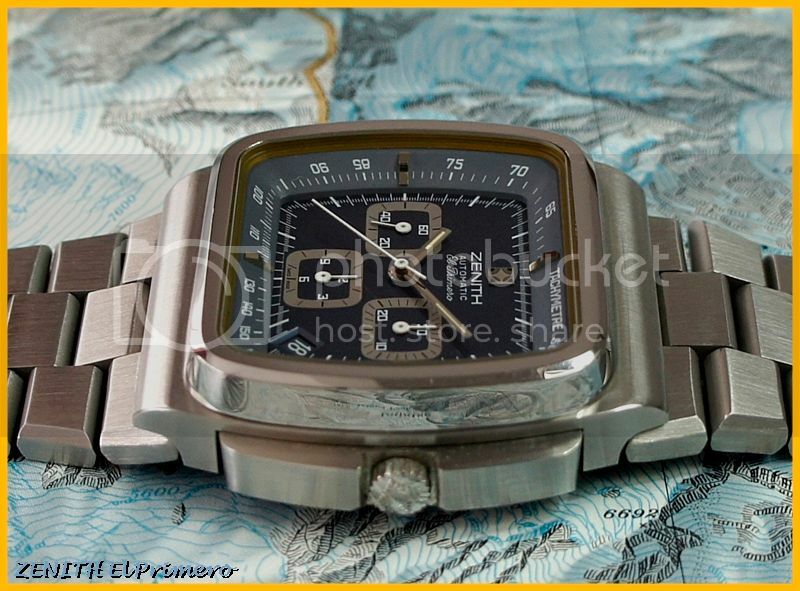 It was the first fully integrated automatic column-wheel chrono. 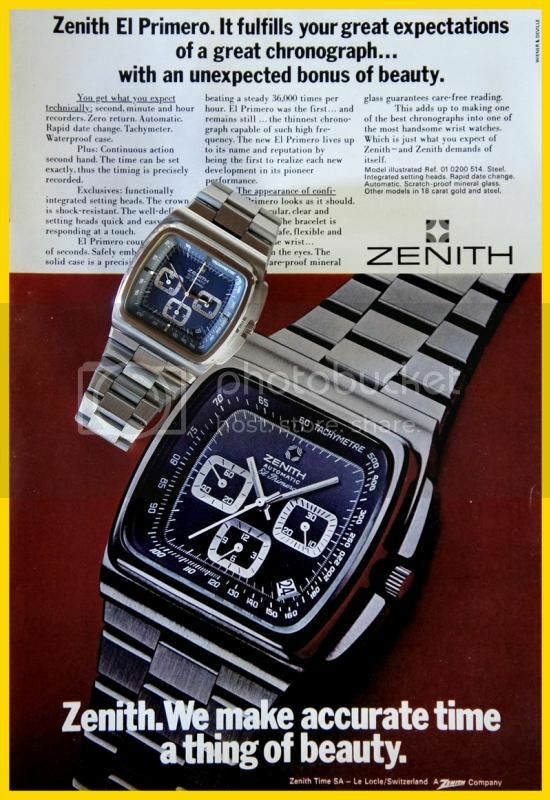 They made 5,000 of these of which 4,950 had a blue dial and 50 had a black dial. 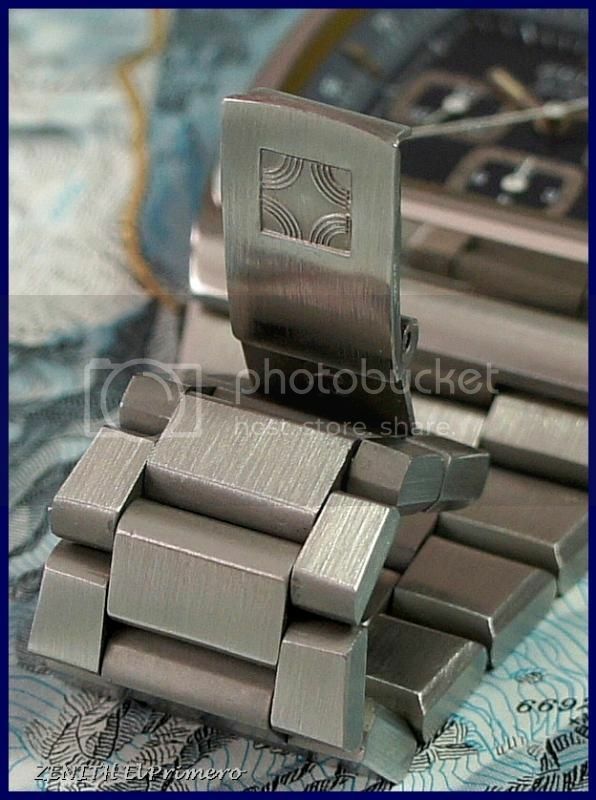 Also there were two types of bracelet: a hollow link version and a solid 'gorilla' link bracelet, which this example has. A revival would be wonderful. 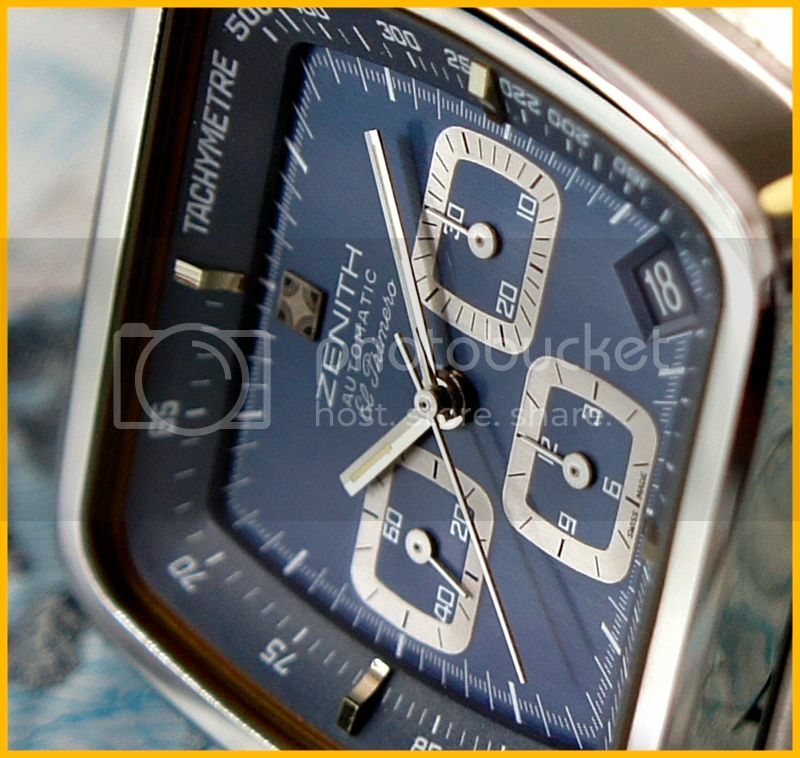 It's for Zenith to gauge the market. 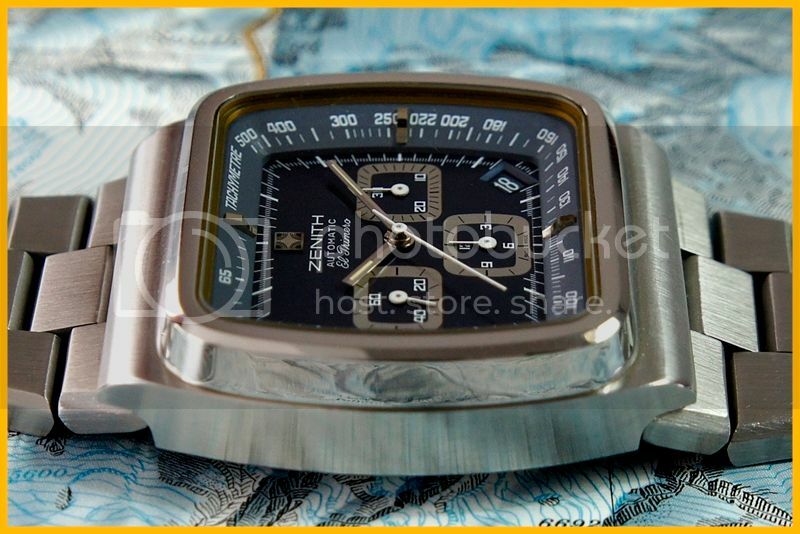 It's a classic good looking design (unlike other overtly '70s designs - though they do have their followers myself included) and it packs a mean chronograph for those who like additional useful functionality. 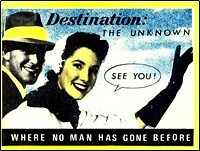 Though the ad below seems to take the opposite view: i.e. 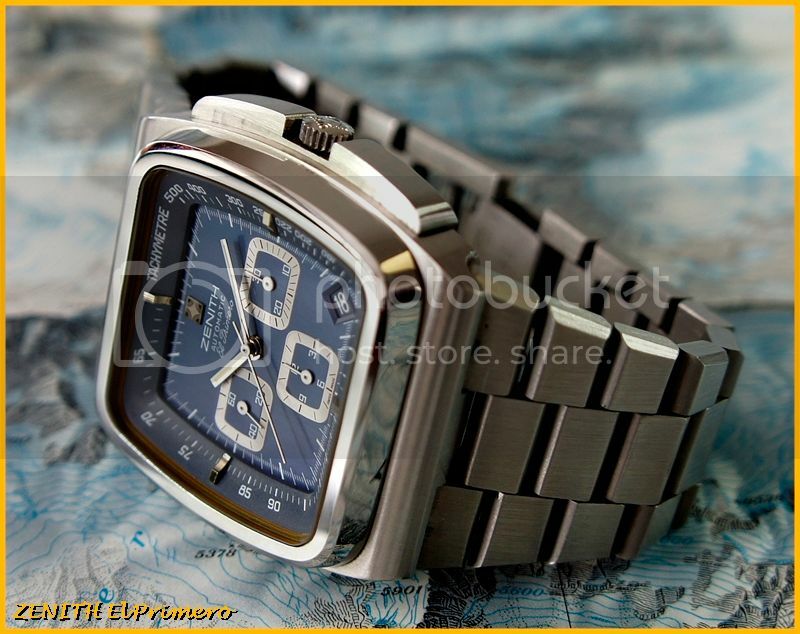 'a chrono that looks good' rather than 'a good looking watch that's also a chrono'.